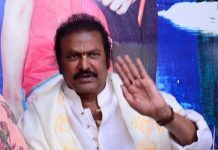 Mohan Babu launches protest against Naidu government? Home Politics Mohan Babu launches protest against Naidu government? Dialogue King Mohan Babu launched a surprise protest against the TDP government. He is demanding immediate release of the fee reimbursement funds due to his Still Vidyaniketan students. He sat on dharna on the road in front of his college near Tirupati. 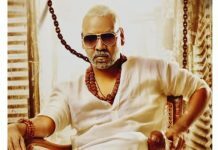 It’s well-known that Mohan Babu has become a close relative of Jaganmohan Reddy family through his son Manchu Vishnu marriage. Against this backdrop, his activities are getting political overtones recently. He has issued emotional comments at the murder of YS Vivekananda Reddy. The TDP leaders are taking objection to the timing of Mohan Babu’s protest and also the selection of the subject. The YCP has long been bringing pressure on the TDP government on the implementation of fee reimbursement scheme which was originally started by YSR. The YCP has also included this scheme as a priority one in its manifesto. YCP leaders are trying hard to get public attention to this scheme. Next articleWhy BJP denied ticket to Bandaru Dattatreya?